Have you tried concrete poems? Concrete poems are also called shape poems because the arrangement of the words conveys the subject or mood. A popular poet is John Grandits. His book, Technically, It's Not My Fault was my first introduction to this style of poetry. 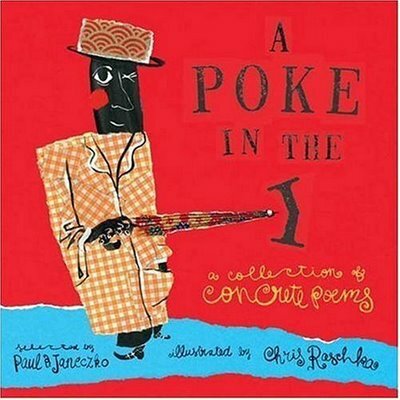 Anothe r collection of Concrete Poems is A Poke in the I, selected by Maine poet, Paul Janeczko.